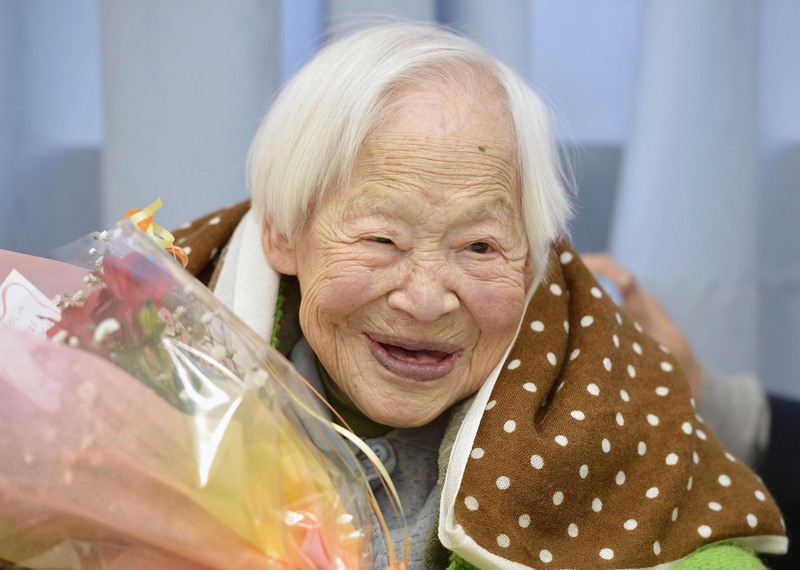 The oldest person in the world, a Japanese woman named Misao Okawa, died early Wednesday morning at 117-years-old. Mrs. Okawa celebrated her birthday on March 5 with her family, including her 92-year-old son, however, retirement home officials where she resided up until her demise indicated that she had recently lost her appetite. In an interview last year with The Telegraph marking her 116th birthday, the oldest woman in the world attributed her longevity to relaxing, eating well, and sleeping eight hours a night in addition to regular naps. Eat and sleep and you will live a long time […] You have to learn to relax. In a recent study published in the journal Neurobiology of Learning and Memory, researchers examining the relation between naps and memory found a five-fold memory improvement after just 45 to 60 minutes of napping and in an unrelated study, researchers found that as little as 30-minutes of lost sleep per day throughout the work week could have long-term consequences on the human body’s weight and metabolism. Misao Okawa’s cause of death came as a result of heart failure, according to a USA Today report which quoted an official at her Osaka nursing home, Tomohiro Okada, as having said that she died “peacefully, as if she had just fallen asleep”. She went so peacefully, as if she had just fallen asleep […] We miss her a lot. According to Okada, she lost her appetite roughly 10 days before she passed away. She celebrated her 117th birthday just a few weeks ago. In 1919, Okawa married her husband Yukio with which she had two daughters and a son. While her husband passed away in 1931, she is survived by her four grandchildren and six great-grandchildren. Okawa, who was the daughter of a kimono maker, was declared the world’s oldest person in 2013 by Guinness World Records following the death of 116-year-old Jireomon Kimura in June of 2013 — both of whom were from Japan. Gary Dahl, the inventor of the Pet Rock, also passed away recently. He was 78-years-old when he died. What are your thoughts on the death of the oldest person in the world and her sage-like advice on longevity?